Marxist postmodernism seeks to overthrow modern philosophy, just as Enlightenment modernism overthrew Medieval faith. Modernism supposed we could use reason (not faith) to know reality. Its progeny were individualism, science, liberal democracy, free markets, technology, and medicine. The German Counter-Enlightenment reacted to defend faith and community. Immanuel Kant hacked objectivity from reason using logic’s razor. Half-blind reason could not know reality. Hegel thought Kant weak, and reinvented reason – a dialectic that forced logic to give way to contradiction. In Kant’s wake, the irrationalist camp appeared, peering into their hearts. 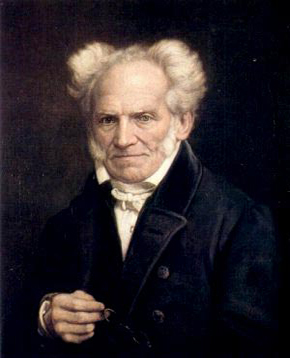 The nihilist Schopenhauer despaired. Schleiermacher found heartfelt faith. Kierkegaard urged action: crucify reason and make a leap of faith. The skeptical Nietzsche urged bravery against the unknown: use our will and power to become the Superman. Martin Heidegger laid the philosophical foundations of postmodernism. In dark, mystical meditation, he conjured the spirits of Counter-Enlightenment for his revelation: metaphysical nihilism. Heidegger’s philosophy embraced Nothing, opposed Western reality, reason, and logic; focused on contradiction and conflict; and dwelt in dark shadows of emotion. Postmodernism’s arguments unmask it as radical leftism, in the guise of philosophy. Postmodernism makes radical leftist political arguments: oppressor, oppressed, conflict, revolution. Its subjective philosophy should predict a variety of political theories (not uniformity). How and why did this happen? Just as the Enlightenment faced the Christian faithful with a crisis, twentieth century leftist intellectuals were faced with a crisis, following Marxism’s catastrophic failures – calamity, evil, carnage. How could they maintain their Marxist faith against such evidence? Heidegger offered a philosophical refuge: abandon reason, take it on faith, and continue the conflict. Postmodernism’s political theory comes from elsewhere. Counter-Enlightenment philosopher Jean Rousseau was the fiery prophet of Postmodernism’s socialist faith. Karl Marx had overshadowed Rousseau. But, Marx’s star had fallen into the abyss of twentieth century catastrophe. Rousseau’s ghost would return from the shadows. Counter-Enlightenment revolutionary Rousseau denounced the Enlightenment in religious terms. He damned reason and civilization for Paradise Lost. Reason is Original Sin, Rousseau argued. Civilization is fruit of the poisonous tree. Reason and civilization had corrupted man, he said. He lamented our lost idyllic Garden of Eden, “the state of nature in which the concern [was] for our self-preservation”. Civilization is not progress, Rousseau argued, but is “in fact toward the decay of the species”, he wrote. Reason and civilization bore evils: abundance that led to property rights, property rights that led to competition, competition that turned men into enemies, technology and medicine that weakened our bodies, society that stoked jealousy, envy, rivalry, and conflict. Civilization’s inequalities (wealth, honor, and power) are “privileges enjoyed by some at the expense of others.” Rousseau wrote. Reason is the enemy of compassion, he claimed. The rich get richer, the poor poorer. Reason drives inequality by driving individualism, Rousseau argued, turning man inward, and turning his back on others. Civilization is self-serving, to benefit the rich and powerful, Rousseau argued. The sciences, letters, and arts are “so many chains binding [us]”, he claimed. They are not freedom, but slavery – “garlands of flowers over the iron chains in which men are burdened” to “make [us] love our slavery”. The answer is revolution, Rousseau argued, because reform is not possible. We must tear down this civilization and replace it, he claimed, just as the Spartans did. Rousseau admired the militaristic, communal Spartan ideal, despising Athenian decadence. Rousseau argued for a new society – totalitarian socialism. The new society must elevate passion over reason. It must have an intolerant state religion. It demands total sacrifice of the individual to the state. Rousseau wanted a society that elevated passion over reason. Man is driven by natural passion, he argued, not reason. Reason confuses us and leads us astray. Rousseau argued for an intolerant state religion. We need a state religion so that we can “bear with docility the yoke of the public good”, he wrote. Disbelievers must be put to death, he argued. Reason is the enemy – leading to disbelief, disobedience, and anarchy. Rousseau argued for total sacrifice of the individual to the state. The individual “must be surrendered to a new moral and collective body”, he wrote, “under the supreme direction of society’s leaders”. Every “citizen should render to the state all the services he can as soon as the sovereign demands them,” Rousseau wrote, and “if it is expedient for the state that you should die, ‘[you] should die'”. Rousseau’s Counter-Enlightenment was the polar opposite of Enlightenment thinking and values. Enlightenment’s virtues were Rousseau’s vices: reason, individualism, economic liberalism, liberal democracy, science, technology, medicine. He would die without seeing the consequences of his philosophy – the French Revolution and Reign of Terror. Rousseau’s philosophy echoes in Ted Kaczynski’s Unabomber Manifesto. Primitivist Kaczynski shares Rousseau’s lament for Paradise Lost. Both condemn society for man’s ills. Both tout revolution and the impossibility of reform. However, Kaczynski opts for anarchy, while Rousseau opts for totalitarian socialism. Kaczynski condemns Rousseau’s consequences – the French Revolution and Reign of Terror. Rousseau’s ideas inflame the French Revolution and Reign of Terror. Next: Part 7, Radicalization and Revolution. In Kant’s wake, a new camp appeared – the irrationalists, who looked into their feelings. Nihilistic Schopenhauer perceived only will. Faithful Schleiermacher believed in his heart. 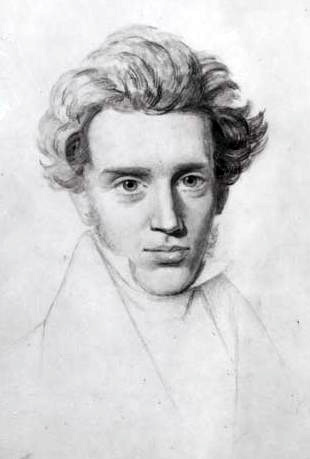 Kierkegaard urged action – crucify reason and make a leap of faith. Skeptical Nietzsche urged courage against the unknowable: cast away morality, tap into your will, and become the lightning – Superman. Postmodernism’s leading twentieth century philosopher was Germany’s mystical, metaphysical Nazi, Martin Heidegger. He borrowed from earlier Counter-Enlightenment thinkers: Kant, Hegel, Schopenhauer, and Kierkegaard. Heidegger concocted a dark brew that poisoned reason and revealed Nothing. Heidegger borrowed from earlier Counter-Enlightenment thinkers: Kant, Hegel, Schopenhauer, and Kierkegaard. Like Kant, he thought perceptions and concepts obscured reality. Like Hegel, Heidegger thought we could better know reality (but rejected Hegel’s reasoning). Like Kierkegaard, he trusted his feelings. Like Schopenhauer, Heidegger dwelt on dark feelings. Heidegger trusted his feelings. Like Kant, he thought reason could not know reality. Sense perceptions and artificial concepts (including language) obscured reality. Kant naively supposed a reality and asked what it was, Heidegger thought. Heidegger meditated on his feelings and asked a different Question – why it was. Logic could not answer Heidegger’s Question. “Why is there Being and not rather Nothing?”, he asked. The contradiction of something from nothing conflicts with logic (as Hegel saw). Heidegger decided that logic was merely an “invention of schoolteachers” and that answering his Question requires that reason be destroyed. In mystical fashion, Heidegger reveals metaphysical nihilism. Heidegger, bored, anxious, and full of dread, discovered Nothing. He first explored language, vainly seeking to uncover primordial ur-words. He grew terribly bored, disconnected, and discovered Nothing. In disconnected boredom, we slip into nothingness, he thought. This dreadful sense of annihilation helps us to answer the ultimate Question. Being and Nothing are one and the same. Heidegger’s metaphysical nihilism and anti-realism would be a foundation for postmodernism. Conflict and contradiction reveal truth. Western reason and logic are hindrances. There is much more to Heidegger. Nazism aside, he inherited traditional German social and political collectivism. History and tradition made these powerful Counter-Enlightenment political currents. Heidegger’s dark, mystic philosophy resembles the Dark Side of the Force in Star Wars mythology. In the Star Wars universe, the Jedi knights draw power from an unseen mystical Force. “Trust your feelings,” they are told, but do not give into the Dark Side – feelings of fear or hate. The evil Sith lords draw power from the Dark Side. Their evil Empire conjures Nazi imagery. Star Wars mythology seems to warn of Nazism’s philosophical heritage. History explains postmodernism’s leftist politics. Next: Part 6, Rousseau’s Paradise Lost.